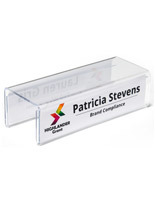 Adjusts to Fit 2" to 3.5"
What good is a sign holder without a graphic for it to hold? 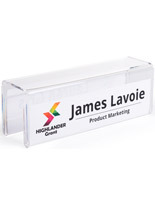 It can be hard to fill office frames in a professional and clean manner. 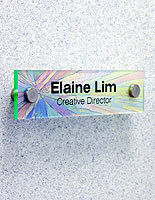 For example, finding the right paper or printer to use for your graphics can be a real challenge. 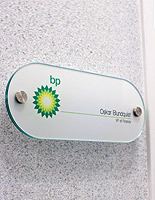 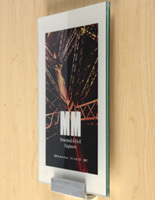 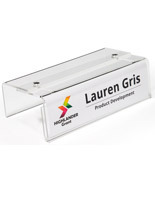 To spare our customers from this issue, we offer a wide selection of complete acrylic signage kits! 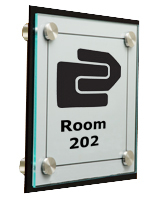 Each signage set contains acrylic sign panels, wall mounting standoffs, both clear and frosted printable film, and a design template! 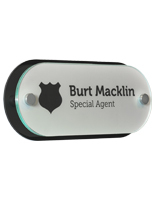 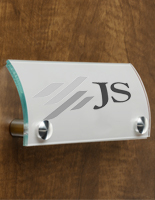 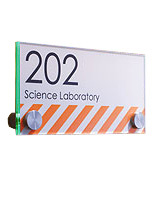 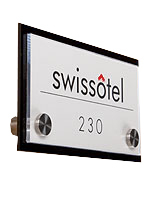 With this acrylic signage kit, you can design your own office door sign or name plate and print it out on the included paper using a typical laser printer! 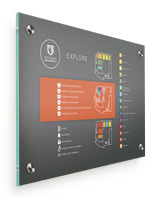 This style of all-in-one sign kit is great for anyone from startups to business owners. 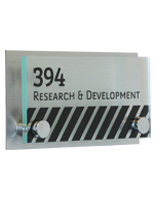 Available in many sizes, shapes, and styles, part of the reason these acrylic signage kits are so eye-catching is the way they “stand-off” from the wall. 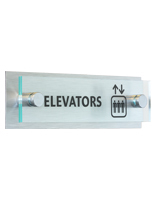 Instead of mounting flush with a wall like some poster frames, these signage kits are set off by their mounting hardware - appropriately called “standoffs”. 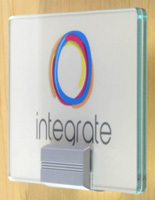 The standoffs go through the acrylic panels’ edges and attach right to the wall, leaving a small gap between the display and the wall. 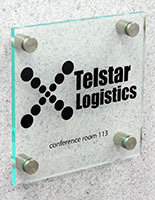 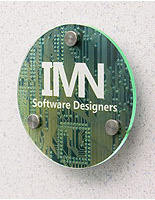 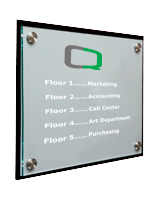 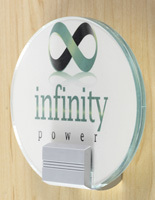 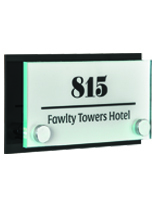 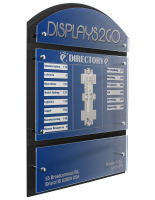 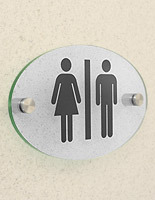 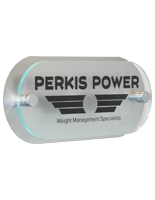 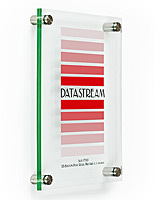 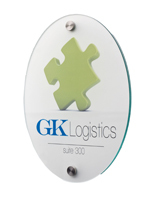 Plus, these acrylic signage kits can be installed and just a few steps! 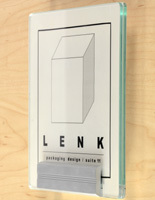 Just design, print, assemble, and mount!